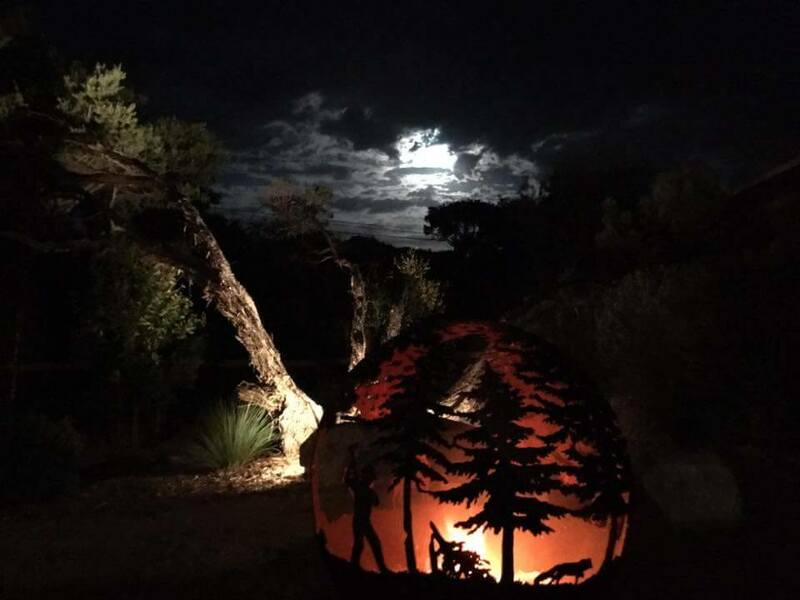 FireGlobes Australia specializes in creating functional bespoke sculptures that not only look amazing in the daylight but transform into a mesmerizing light display by night. Inspiration is drawn from nature and harmony and each globe is designed individually with the aim to evoke a sense of peace and wonderment. Hand drawn and hand cut by our artist Kerriann, each piece is custom designed and totally unique. 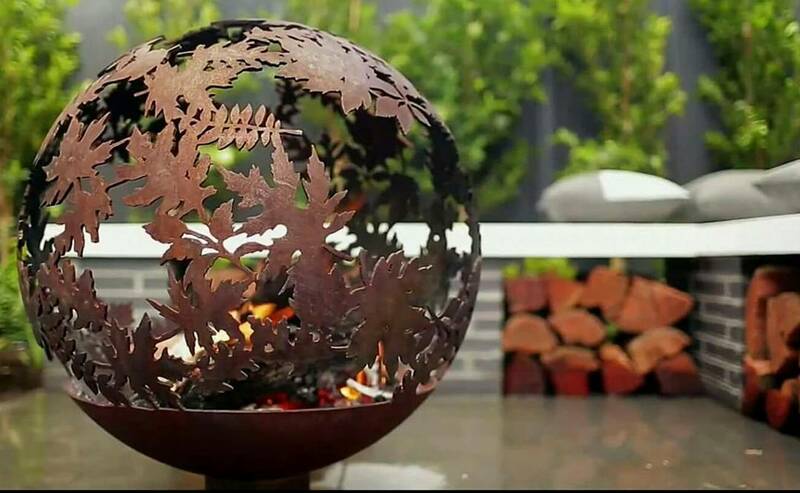 Contact us to discuss creating a personal and unique FireGlobe for your outdoor space. "​I love creating unique pieces for my clients whether they are looking to use one of our globes as a fire pit or a garden centerpiece, it is always a joy seeing the design take shape and the finished piece in its new surrounds". For custom designed globes and fire pits a pencil sketch of the concepts is drawn allowing the client to visualize the design and layout of the globe. Once the client is happy with the sketch up the design is chalked onto the globe ready to be hand cut. All of our globes and fire pits are handcrafted from 6mm steel. Full and half fire pits are available in sizes: 900mm; 700mm; 500mm; 350mm diameters. All globes and fire pits come with a stand and fire grate. Prices vary dependent on design and the size of the globe please contact us to discuss your options. Check out our Gallery for some inspiration! Delivery and freight options available, contact us to find out more.